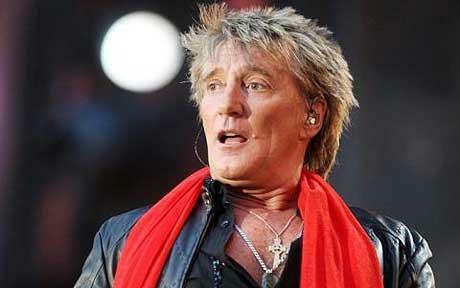 Rod Stewart Convicted by War Crimes Tribunal Shock Horror! Bear with me. Several years ago, I was watching the Michael Aspel TV chat show. 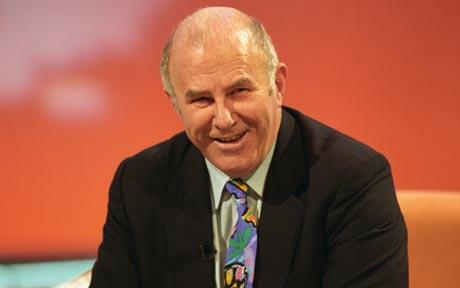 Aspel had already interviewed a couple of celebs, one of whom was Clive James, the writer, critic and TV show presenter. He then introduced Oliver Reed, the film actor and self-professed hell raiser. Now Ollie already had a reputation for leaving no bottle unturned in pre-show hospitality rooms – and this night was no exception. He arrived on camera, dishevelled and wobbly, pitcher of grog in hand, performed a ‘song’ of sorts with the band whilst jerking around like a broken windmill and then staggered to his seat alongside his host. Not what you’d call good form. Clearly, what had happened was a tad embarrassing to all present – except Ollie of course, who appeared perfectly happy with the way the evening was unfolding. But it was beyond the pale for James.’Why do you drink?’ he demanded of his sanguine co-guest. Ollie replied, somewhat disingenuously I felt, that one had the opportunity to meet the finest people in pubs. There’s a clip below that includes footage from the ‘Aspel Incident’. What this clip doesn’t show is James subsequently reproving Ollie for his boorish behaviour, exhorting him not to drink – because he was a fine actor and didn’t need the booze yada yada. The sentient Clive was then able to luxuriate in the warmth of the applause that greeted this homily, buoyed by the knowledge that the audience’s good opinion of himself was matched only by his own. This is, of course, the very same Clive James that appears peripherally in both ‘The Adventures of Barry McKenzie’ and ‘Barry McKenzie Holds His Own’ as a permanently-pissed Aussie, never without a can of Fosters in his hand. Needless to say, the anguished antipodean’s admonition had not the slightest impact on Ollie, who went on to grace many a chat show, pub lounge bar and occasional movie with his distinctive and bracing style. But for me, in that moment, Clive James was relegated to the role of cloakroom attendant in the hotel of ‘Stars I Hold in High Regard’. His self-serving and patronising treatment of Reed on prime-time television betrayed him as shallow and opportunistic. 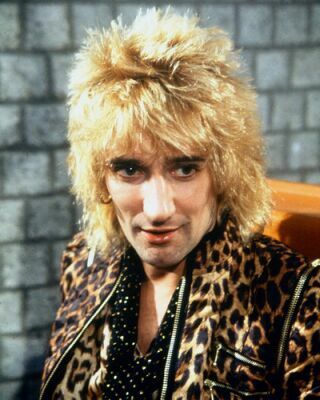 So – what’s all this got to do with Rod Stewart? I hear you ask, quite rightly. Well, just lately I’ve been reading some vehemently expressed opinions about how Rod ‘sold out’ when he finished with The Faces and went to find fame and fortune in the United States. That his recorded output from ‘Atlantic Crossing’ onwards is ‘disappointing’, ‘worthless’ and so on. Of course, the same opinion has been expressed about other artists and performers. The great Peter Cook was vilified for his departure to American sitcom ‘The Two of Us’ and the dissipation of his talent on panel games, chat shows and the like during the 80s. Stevie Wonder appears frequently in the scornful remarks of those who lament his inability to keep on producing albums to the standard of ‘Talking Book’ and ‘Inner Visions’. 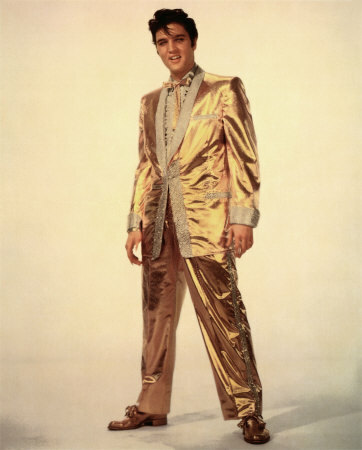 Then there’s the most talked-about ‘sell-out’ of them all; Elvis Presley – and the time he spent in thrall to ‘Colonel’ Tom Parker making a series of papier-mache albums and films that marked his decline from strutting tom to neutered lap cat. And there are many other such ‘failures’. Well, the big news is that people are often self-indulgent – or just lazy; that people often display poor judgement; that people can sometimes fall under the influence of a malignant or mediocre force; or just simply – that they use up all of their brilliance and creativity in an intense, short period of activity – and then have nothing left to say. Whatever. It doesn’t really concern me. I am not moved to criticise any of these people for the choices they made. I think the handful of albums Rod Stewart made with The Faces are exemplars of what great rock n roll is about. His move to the States and subsequent stylistic move to crooning were his decisions to make. He couldn’t be – and probably didn’t want to be – Rocking Rod for ever. He’d earned his spurs the hard way with Steampacket and whatever he could find to do in the music business, before joining The Faces. I’m truly grateful that we have those albums, such as ‘Long Player’ to savour. I’m similarly grateful to Peter Cook for Private Eye magazine, ‘Beyond The Fringe’ and ‘Not Only But Also’. To Stevie Wonder for his 70s albums. To Elvis, well, for being Elvis. Rod didn’t invade Poland you know. He went sailing – to America. This entry was posted in Music, Opinion and tagged Rod Stewart, The Faces. Bookmark the permalink. Famous people go off and do what they want, because they can ! That riles critics and bewilders fans, but they have fully earned their spurs. The excellent pulp novelette ‘Hellraisers’ about the crazy and boozy lives of Richard Harris, Richard Burton, Oliver Reed and Peter O’Toole, clearly illustrates their healthy disregard of critics and in fact, and more importantly, their own fame. Thanks Spike. That’s most likely correct. The issues around relative morality are complex and my point is that some critics are more concerned with gilding their own lily than critiquing someone’s work.Incidentally, what’s interesting about the Ollie Reed story was that the programme that aired was recorded and not live. Ollie’s indiscretions , clearly, had become an ‘event’ in themselves ands transcended censorship. See what I mean about relative morality?